Painting Jeans - one of the most requested colourways from our latest Etsy Update. 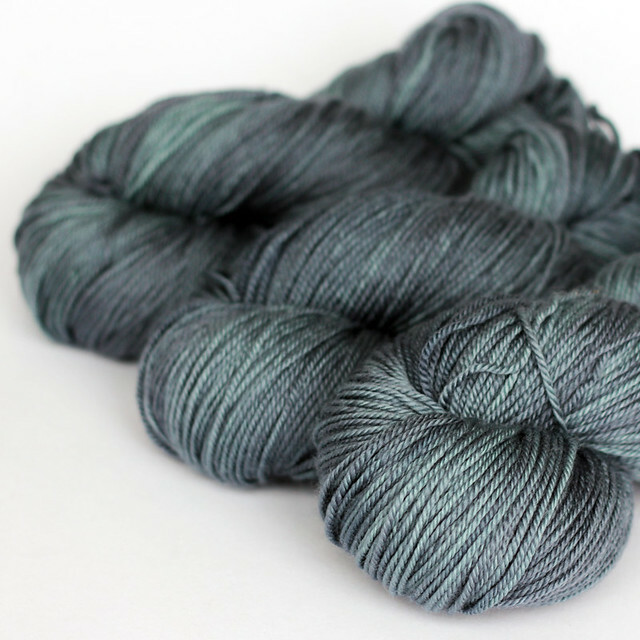 We only had one batch of this colourway in Purple Label Cashmere Sock yarn available and it went quickly, I've added it to the list of colourways to try and reproduce in other bases for the next update! Thanks so much to everyone who stole a moment from their holidays to pop by the shop and grab some goodies! We are working furiously this week to get all your orders shipped. 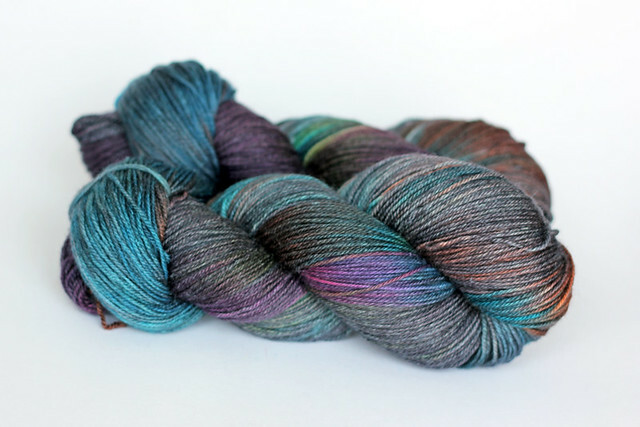 I am completely humbled and overwhelmed by your continued support of our dyeing experiments. 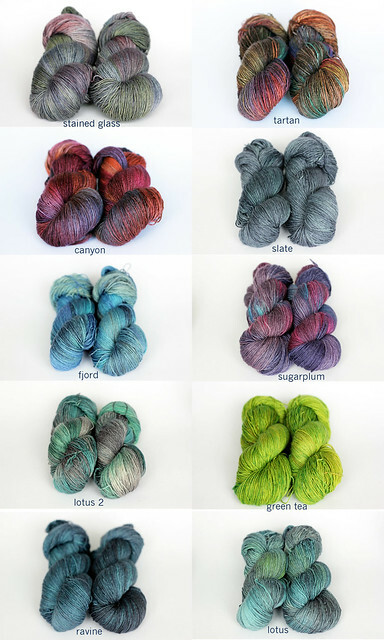 Chris and I feel so incredibly lucky to have such wonderful customers who get as excited about our dyeing experiments as we do! Our holidays were fantastic and went by in a blur as usual. We spent every day with family and just soaked in festive cheer. 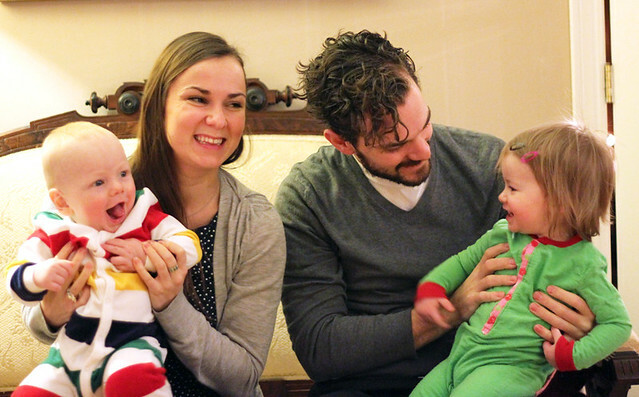 The holidays were made extra fun by the presence of two adorable babes, Rowan and his cousin Annika. The kids certainly add to the whole magical family holiday experience. Contrary to my usual style, I actually took a whole bunch of photos this past week. Too many to sort through this morning, but here is one that I think really captures our holiday experience. I call this shot: "Babies in brand new Christmas Eve pj's smiling and laughing with Aunt Lilia and Uncle Vince!" 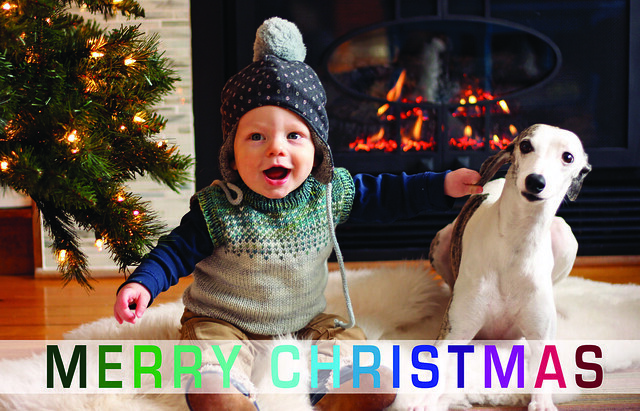 Warmest wishes from Tanis, Chris, Rowan and Stella. 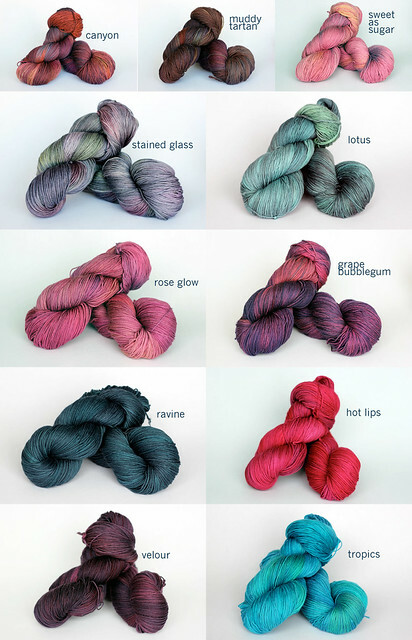 Boxing Day Etsy Update - Preview the yarns! Here they are! 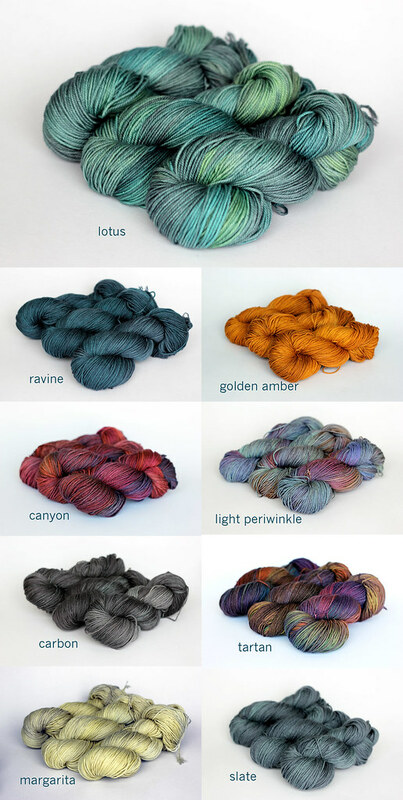 All of the yarns that will be featured in the huge Etsy Update happening on December 26th at 12:30pm EST. Some of these collages seem to be showing up a bit foggy... I spent all morning working on them, so forgive me for just leaving them as is, the yarn shots will be crystal clear on the Etsy site! 1) Be sure that you've set up your Etsy account/Paypal account ahead of time, be logged in, have the right shipping address and credit card info entered so adding items to your cart and checking out will be as quick as possible. 2) Don't worry about placing multiple orders, I am happy to combine shipping. 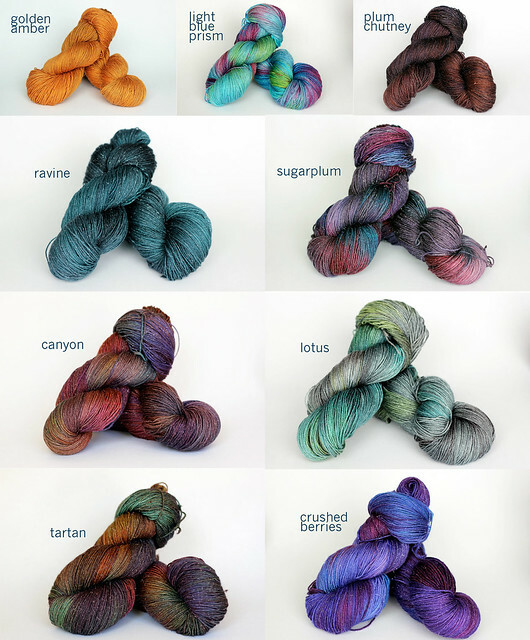 If you see a skein or two that you know you want, just buy them! Then you can peruse the site at your leisure and if after a bit of browsing you've found a few more things that you'd like feel free to place a separate order. Upon processing the orders I always check to see if multiple orders were placed and will issue a refund for the overcharge in shipping. However, BONUS! 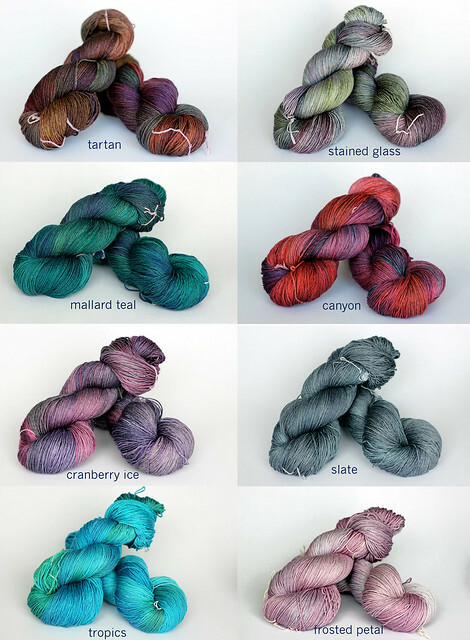 For this update I'll be charging a flat $1 shipping per skein, so no matter how many orders you place, you won't be overcharged. 3) Remember that cart jacking is bound to happen and try to keep a sense of humour about it! There will be more Etsy updates in the future and you'll have plenty more chances to grab One Of A Kinds. I'm trying to make little changes to my system in order to keep frustrations and disappointments to a minimum, but to be honest, at this point I'd rather cart jacking then overselling! 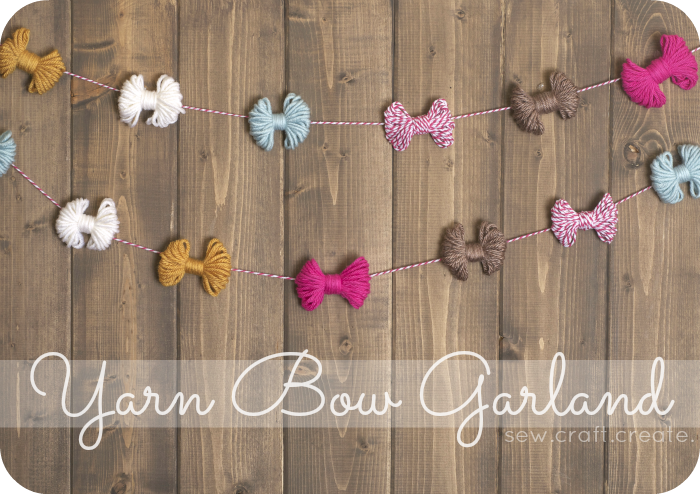 At least with the Etsy format we can be certain that if paypal takes your money, the yarn is yours! Enjoy this little preview, and please feel free to let me know which are your favourites so I can start making notes about what we should be working towards next! 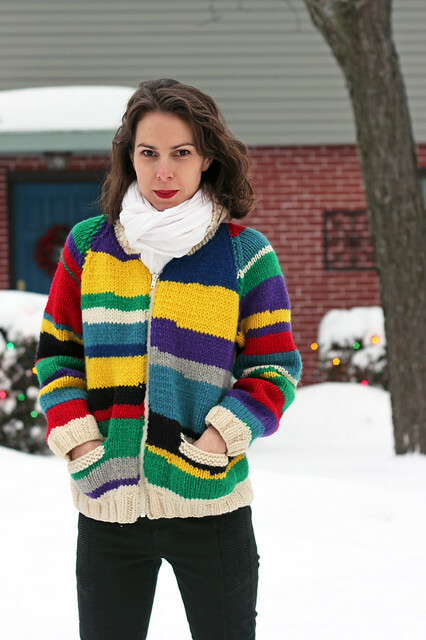 Featured Knit: This awesome hand-me-down sweater from my mom, knit by Grammy. 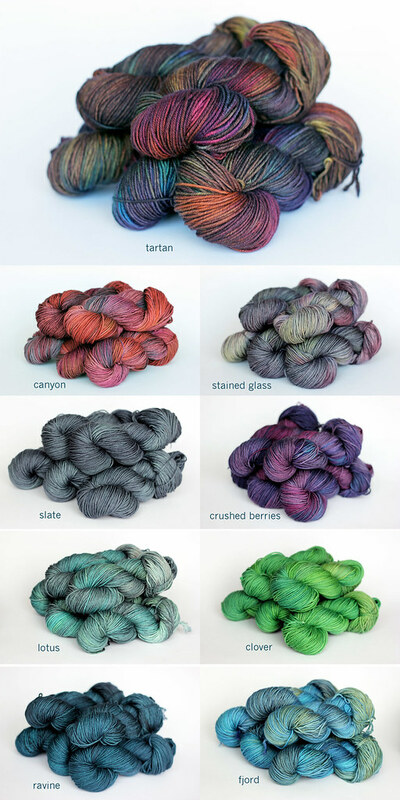 Yarn: Some vintage chunky yarn. If I've got my facts straight, Grammy knit this sweater for my mom when mom was in university, so some time in the late 60's, early 70's I think. It's scrap-tastic. 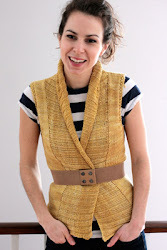 It was knit in pieces, two fronts, a back and two sleeves, and no two sections are alike. The colours are as bright and bold as you can get. It has a zipper and a shawl collar. I was bestowed this jacket back in high school and I've worn it lovingly since. It's shockingly warm, especially with an insulating layer underneath. And it certainly turns heads. Mom has this awesome story of walking down the main drag in Halifax and a car pulls up next to her and this real tough looking guy rolls down his window just to compliment her on her great sweater. 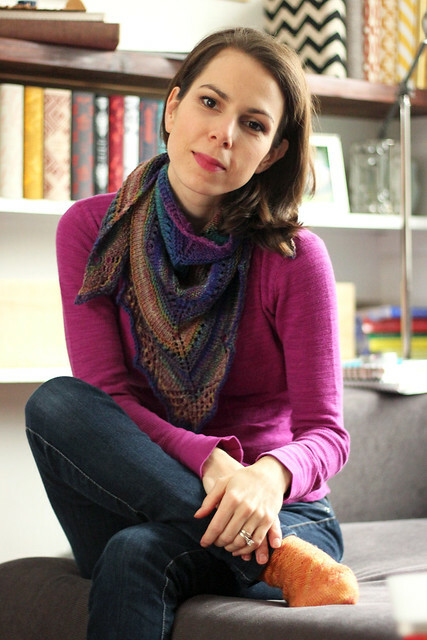 When I'm wearing a bold knit like this, I usually let it shine as the sole knit in the outfit. A simple scarf, no accessories, the sweater has enough going on by itself I think. The big Boxing Day Etsy update will be on December 26th at 12:30pm Eastern Standard Time. This will be our biggest update ever! Hopefully we've prepared plenty of stock for you, so there should be something for everyone. 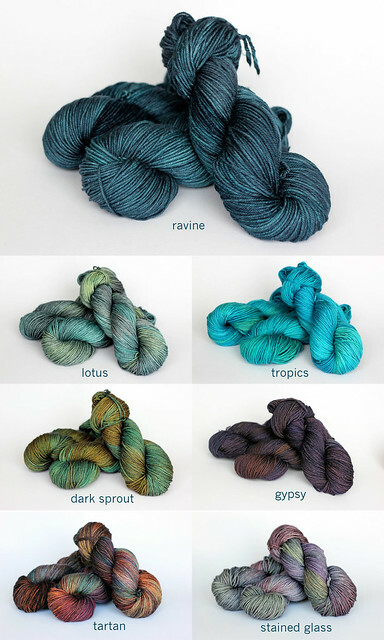 We've tried to dye larger batches of each colourway. 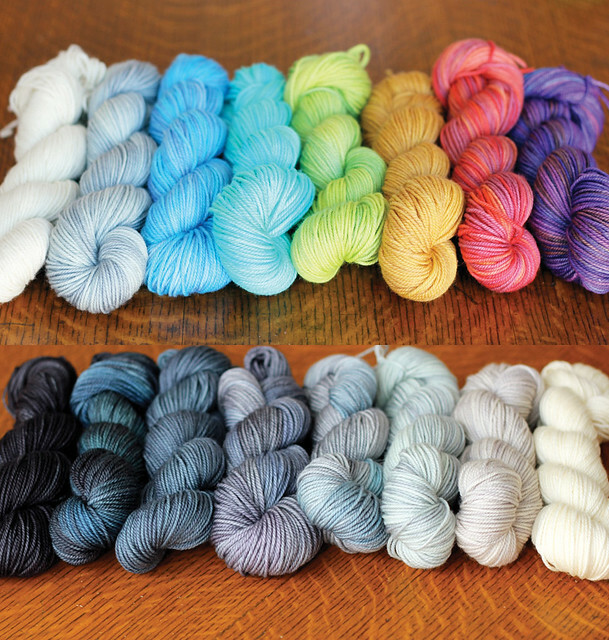 Rather than having just a few skeins of each we've got 10-20 of lots of colours. I am doing my best to get all of our One Of A Kind gems photographed and ready for a preview (like I did here). But we plan to create up until the very last minute, so there may be some surprises that I'm not able to preview for you in time. Though I love all of these combo's, I think that my favorite might be the black, white and red pairing. So classy. The Nursery Palette (inspired by Rowan's nursery and seen here knit into a blanket that I WILL be publishing soon!) And a perfect Grey Palette. I've been wanting to do a Grey Palette forever but was missing that one perfect shade. The Grey that falls between Stormy and Dove, the perfect shade of Slate. Not too light, not too dark, a gorgeous neutral. I'm smitten. 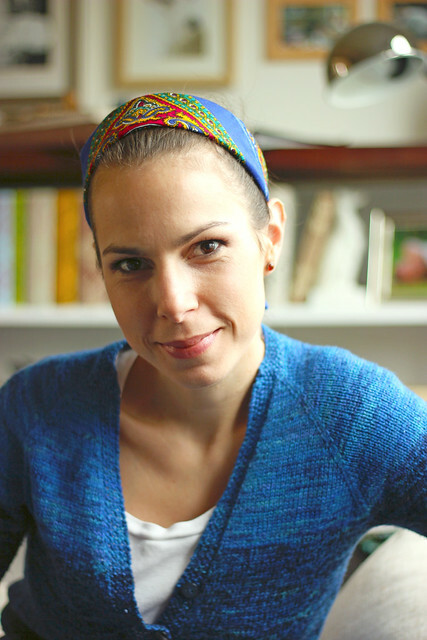 Remember this little sweater I knit for my baby when I was pregnant? Well, it sort of almost fits! 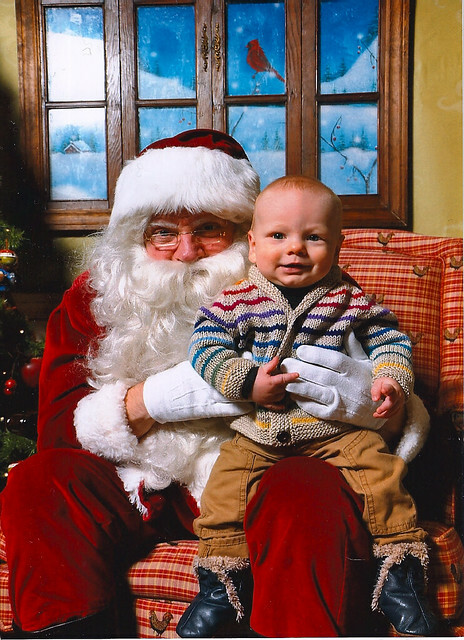 A few weeks ago we headed to the local mall to have Rowan's photo taken with Santa (our Santa was awesome and so engaging) and Chris picked this sweater for him to wear. It's a little big, but so cute! Chris is slightly obsessed. He has requested a matching one. How can I resist? I haven't knit a sweater for Chris in years. This sweater will not be done by Christmas, heck, it probably won't even be cast on by Christmas! But the yarns are all set aside in a bag, ready to go whenever I am! I love that Chris is game to wear a rainbow striped sweater. That's my man! I mentioned the other day that I had a new favourite hot drink. Up until now I had been a die hard coffee girl. I love myself an afternoon cappuccino. But then I was introduced to the London Fog (forever called a "Purly Fog" in my mind since I had my first at the Purple Purl). 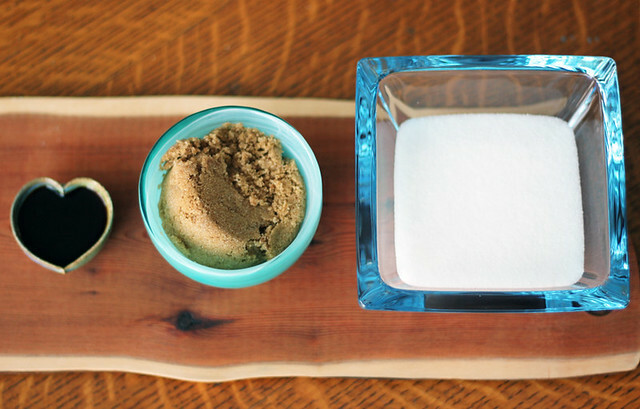 I'm sure that with a quick google search you'll find a million versions of this same recipe, but just to save you the trouble, here's how I make mine at home. In a saucepan, combine water and sugars and boil for 3 minutes, until sugars are completely dissolved. Remove from heat and let cool for a few minutes before stirring in vanilla extract. That's it! This syrup could be used for lots of things, not just these Purly Fogs. I keep mine in a mason jar in the fridge, though I'm not certain refrigeration is necessary. 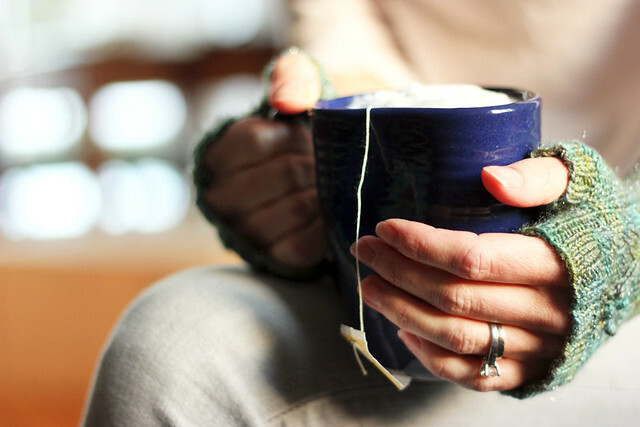 Toss tea bag in a big mug and fill mug half way with boiling water. Add 2 teaspoons of vanilla syrup. 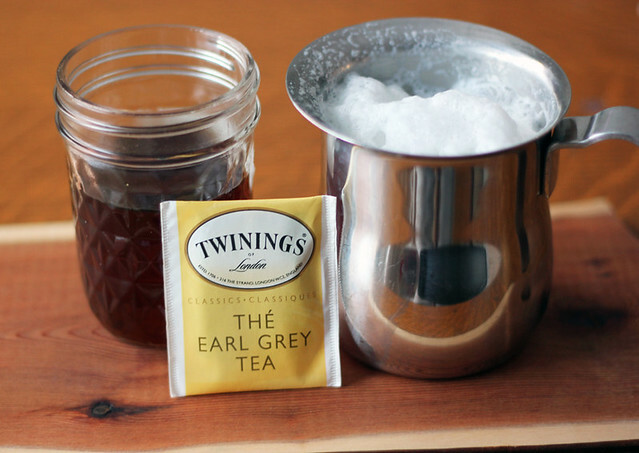 Fill mug with steamed milk. Ta-da! I have a cappuccino machine, that's how I steam my milk, but I recently made these beverages at my parents place and used a milk frother like this and it worked perfectly! 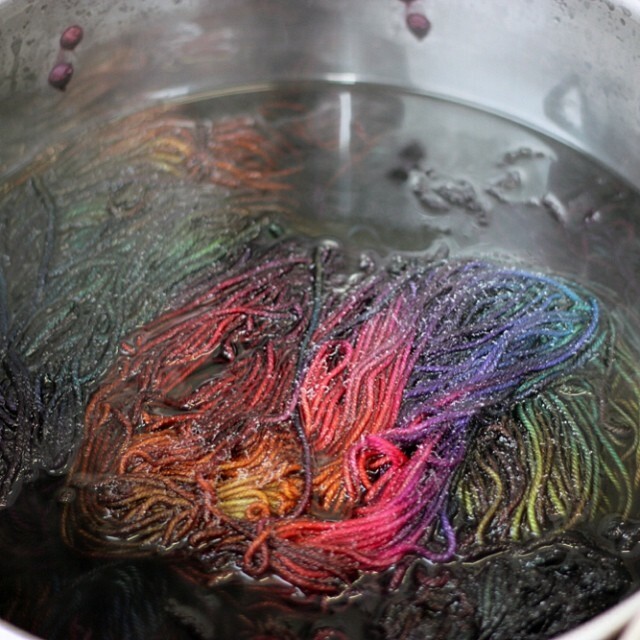 Weekends are for dyeing one of a kinds! Two Friday's ago Chris, Rowan and I made a trip to Toronto to visit family, friends and the Purple Purl! 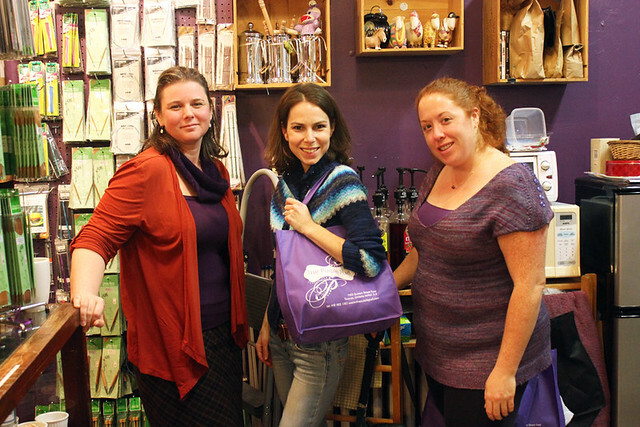 The Purple Purl has been a huge friend and supporter of TFA since the beginning. 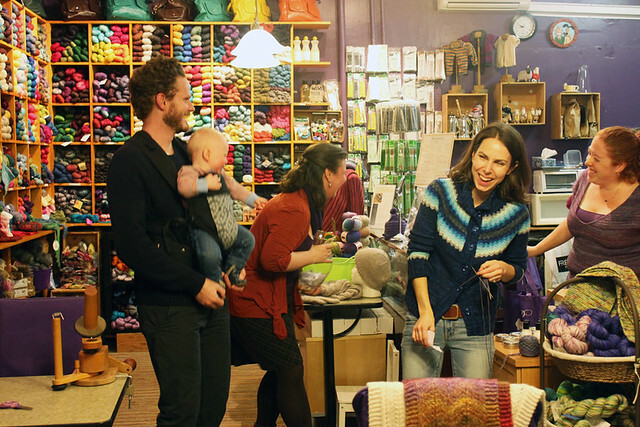 I get to visit with the lovely owners, Jen and Miko, when I do shows in the GTA, but those visits are crazy and chaotic, it was so nice to get to sit with them for an evening and enjoy the warm and friendly ambiance of their little shop at a more relaxed pace. Here is our evening in photos. 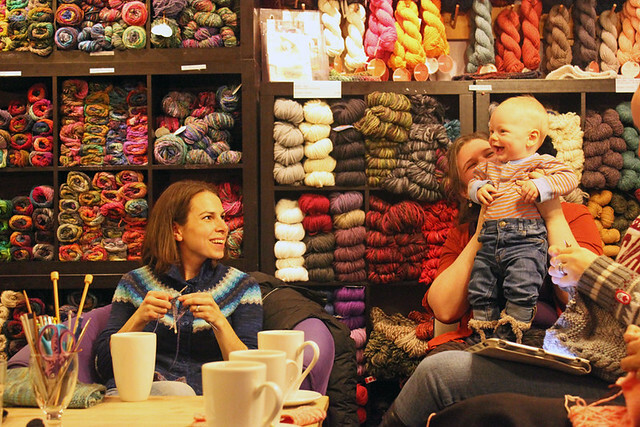 Lots of friendly knitters came out to knit with us. 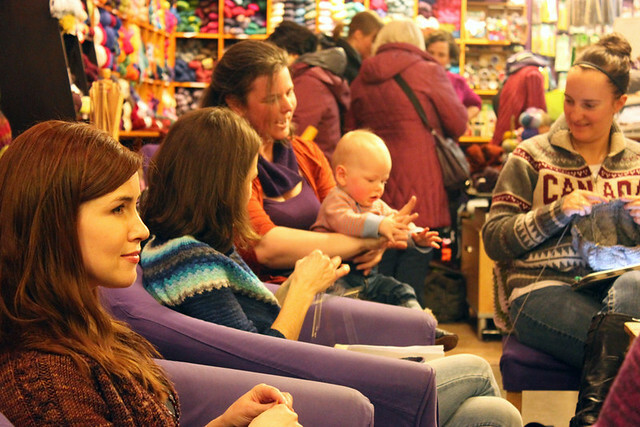 Lots of lovely ladies cooed and made faces at Rowan, and man, did Rowan ever love it! He spent the entire time we were there lapping up all the attention and laughing at how incredibly hilarious he finds Jen. 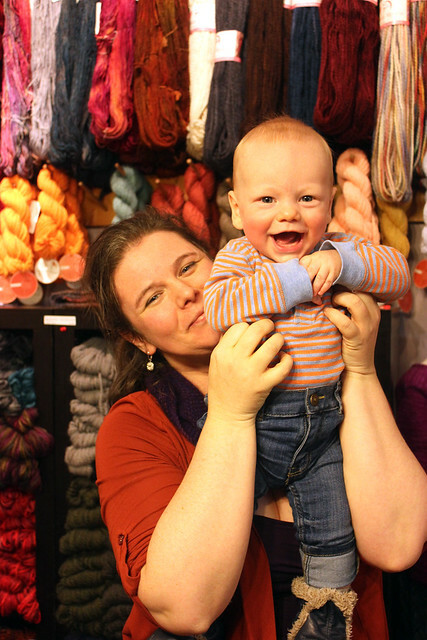 It obviously helps that the Purl is very baby friendly. As soon as we arrived Miko grabbed Rowan and set up a little play zone for him, check out that awesome blanket he got to play on! And those toys, they are way better equipped in the toy department then I am. 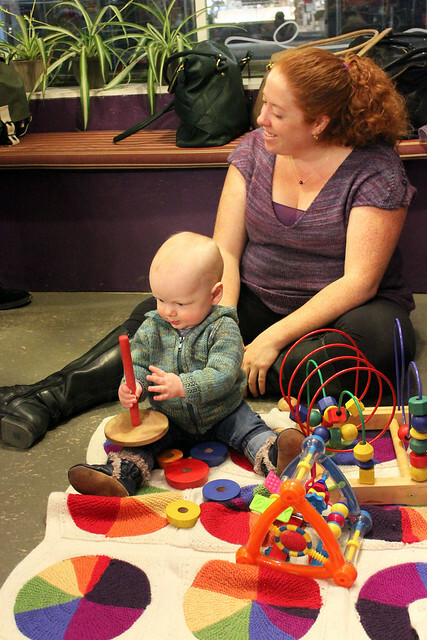 If I lived in Toronto, I think that I would go to the Purple Purl to have Rowan "babysat" more often then I should. 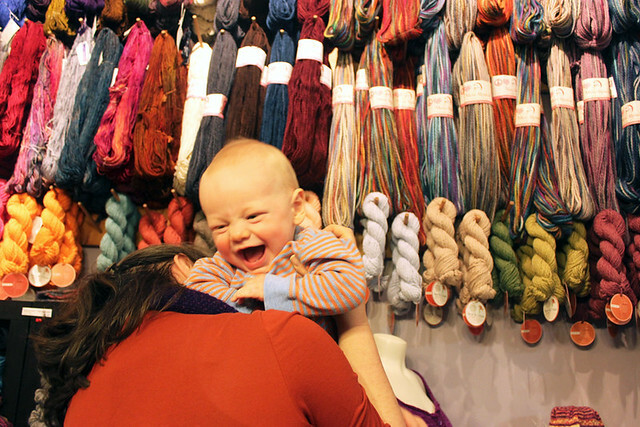 This kid just loves yarn shops. It's amazing. In the above photo Rowan is blurry because he is going crazy with laughter! Jen was shaking the vase that contained names for the TFA draw and he could not control himself. If he could stand, he would have doubled over. Adorable. And of course, I couldn't leave without some yarn. A super giant, beautiful skein of Malabrigo Rasta in Piedras which has already become a cowl. Some Turtlepurl self striping sock yarn in Burberry to knit some high class socks for Chris. I wish that I had taken a photo of the delicious beverage they made for me at the Purple Purl. They are a café too ya know. It was a Purly Fog (borrowed from Starbuck's London Fog, but I'll always think of it as a Purple Fog, much cuter). I have become addicted and now make one for myself every afternoon. Will share the recipe soon! Hi all! Guess what, Julie and I are cooking up lots of exciting new things to collaborate on for TFA in 2014 and the first of them is ready to be rolled out a little early…introducing: Julie's Notebook! 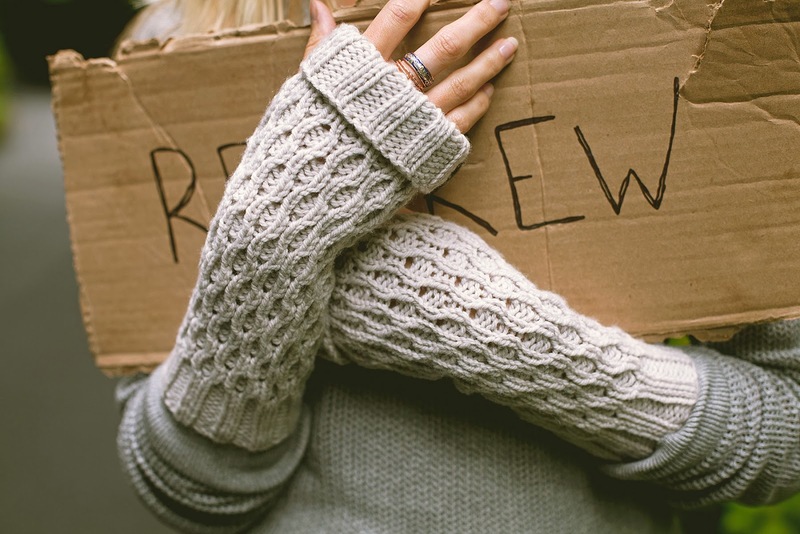 A new, monthly blog feature curated and written by Julie for TFA readers. 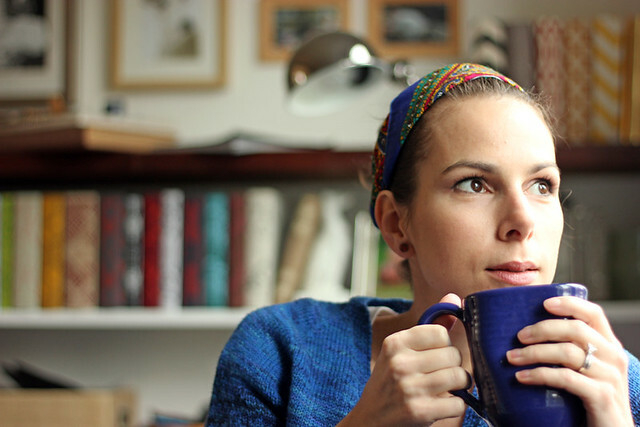 Every month Julie will pick a topic and dazzle you with her mad blogging skills. So, without further ado, here she is with the inaugural Julie's Notebook post! Take it away Julie! 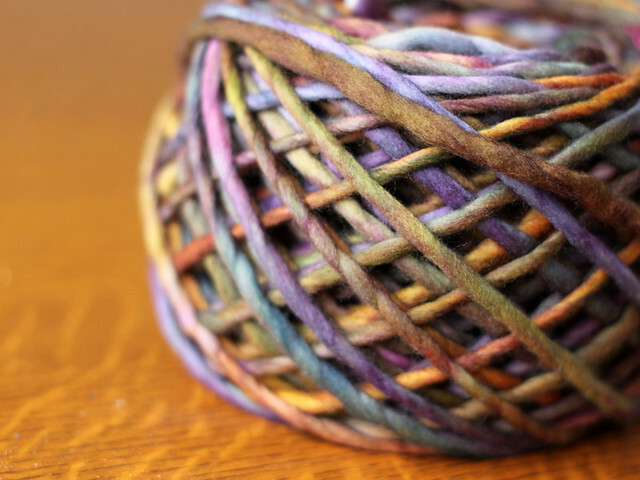 I bet most of you are just like me - you have little balls of yarn leftover from all your awesome knitting projects that are too pretty to throw away, but too small to do much with. 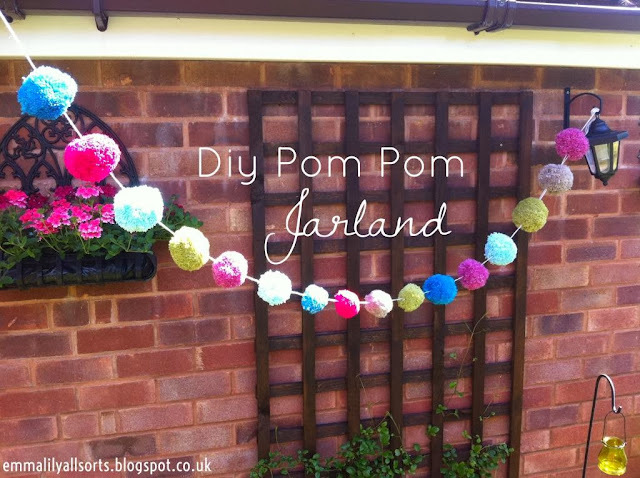 Enter the pom pom. 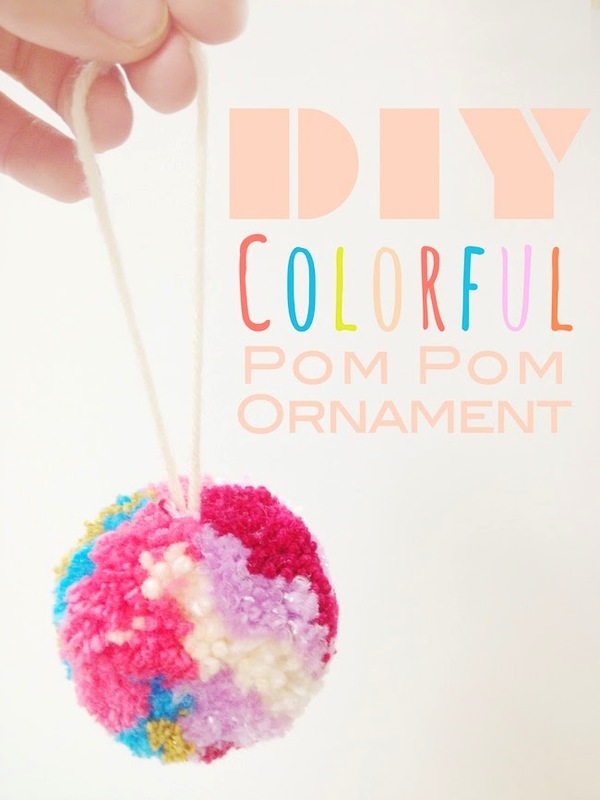 Not only do pom poms look smashingly fabulous on top a hat, but they make some very fun and festive holiday decor. 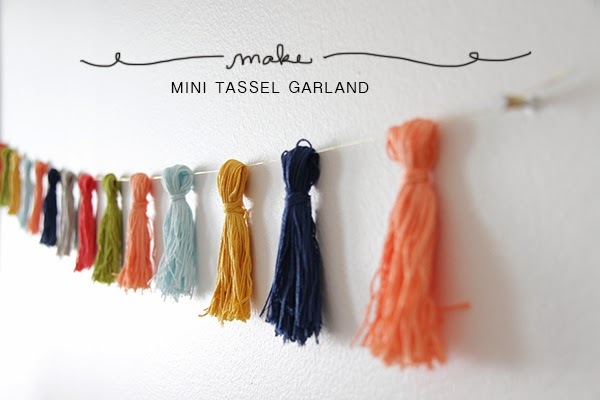 Like garlands - I love garlands. They seem like the epitome of party decorations. And there's no law saying it should just be for the seasonal holidays, these would all be equally great for birthday parties, new years, baby showers or even weddings. Let's take a look at some inspiring examples! Stash busting AND decorating for holidays and parties- talk about multitasking! 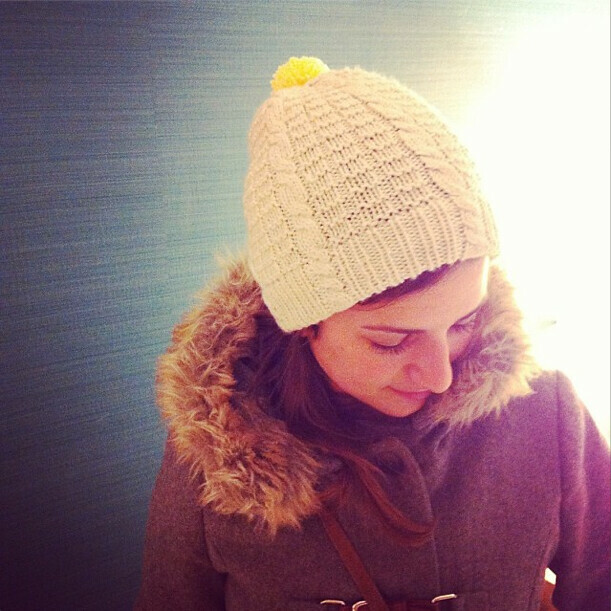 Yarn: Not yet released merino/cashmere/silk DK weight yarn in Natural with a Buttercup pompom! Every year my girlfriends from art school and I do a secret santa gift exchange. This year I gave to Jenna. I was excited to be knitting something for her (because of course my gift had to be knit) because she's a textile artist as well and I knew that she'd really appreciate a hand made gift. Choosing just the right yarn, pattern and colour was daunting. As an artist, Jenna has a very well developed sense of personal style. I love her style and wanted to make sure that whatever I made her would be something that she may not make herself, but that she would love. Her aesthetic is clean, simple and natural. I decided that for Jenna, a pattern with clean lines would be best, and that I should focus on the fiber rather than the colour. Though I'm sure she does love colour, I see her as a "neutrals" girl. I have a small amount of a new yarn that I'm playing with, it's a merino/cashmere/silk DK weight yarn (just like Orange Label, just DK weight rather than worsted.) This was the perfect yarn for her. Luxurious and special, and beautiful in the Natural colour way. I cast on for Brixter hat and then part way through the ribbing decided that it would be extra terrific if it had a double brim. Since I had already begun working the cables I just kept on and then skipped one cable cross where I would be folding the brim under. I then worked the brim pattern once more before folding it under and tacking it down on the last row before I started the body. 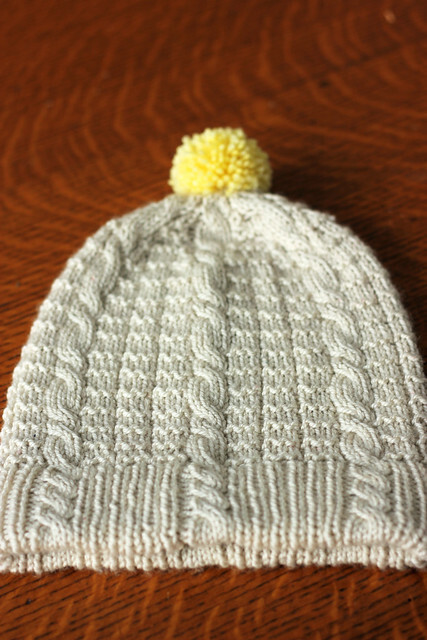 Alternatively you could sew the brim down after completing the hat, but sewing it as you go makes for zero finishing in the end, which is a nice feeling. Using my left hand needle I picked up one stitch from the cast on edge and knit it together with it's corresponding live stitch. I only knit the knit stitches together, I did not tack down the purl stitches in the ribbing, tacking down every second stitch is plenty to keep things together. The results are very pro, there is no visible seam and the tacked down edge is very stretchy and comfortable. 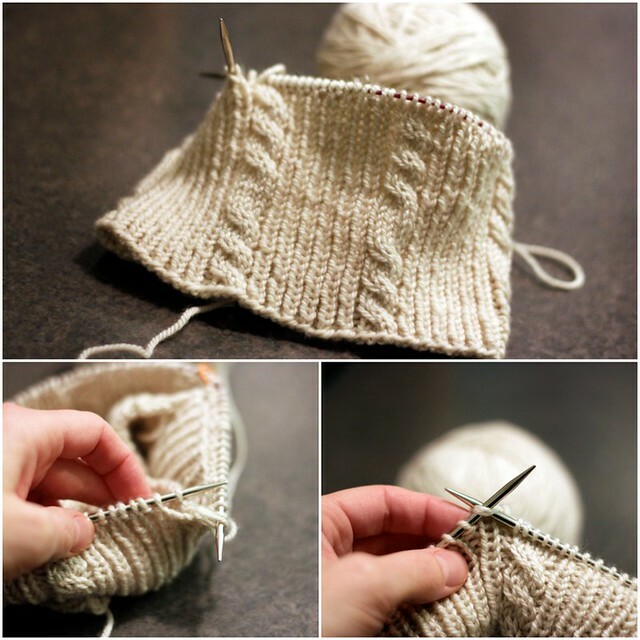 After having skipped the one cable cross for the turned under row I took a look at my progress and really liked it! 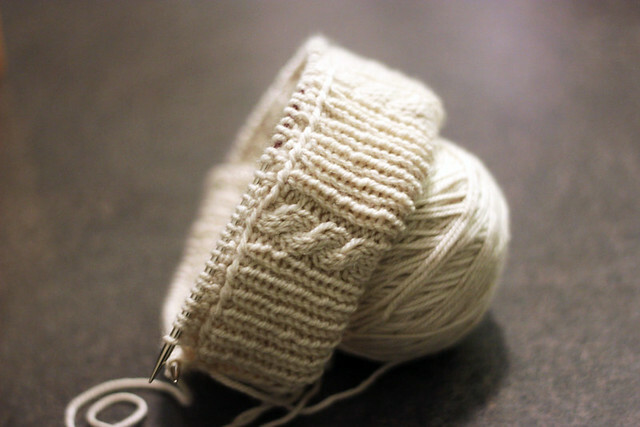 I decided that I'd continue to alternate crossing the cables every 4th row (as pattern specifies) and every 8th row. The difference is subtle, but very pretty. Jenna loved her hat. She was very excited about the fiber, which is nice since I'm excited about it too! 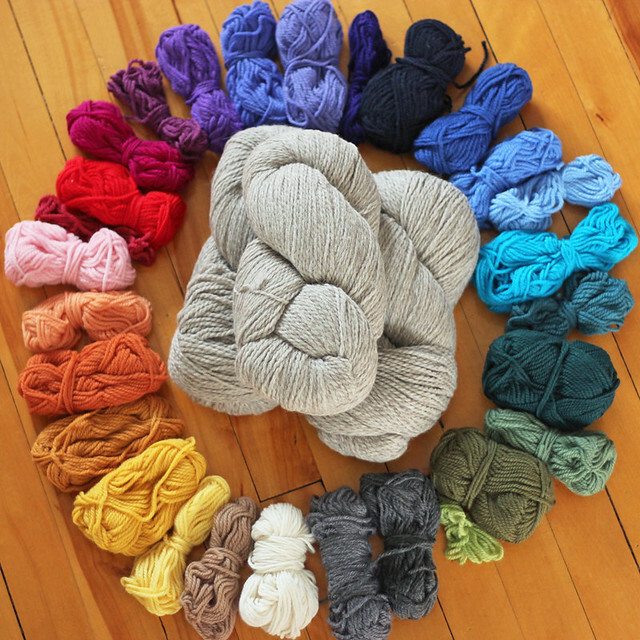 You really can't go wrong with a merino, cashmere, silk base! Isn't Jenna adorable? 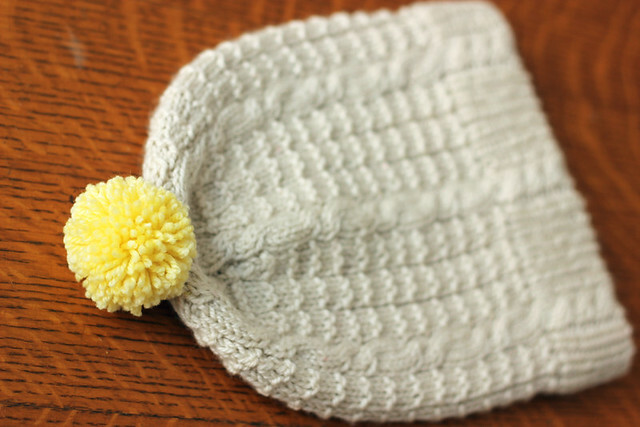 I also added a buttercup pom-pom for some Tanis flare! I just couldn't resist. Psst. 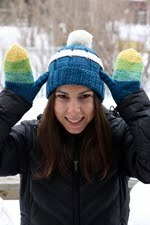 The winner of the Journey e-book giveaway is… Katherine K. aka: 1martinigirl. Thanks to all who entered! I can't wear red lipstick. Lord knows I've tried. I love the look on other people, especially if the bright red lips are paired with a neutral outfit, it's just so incredibly chic. But I'm just not comfortable in the look myself. I've accepted that. On the bright side, I am incredibly comfortable in hot pink! 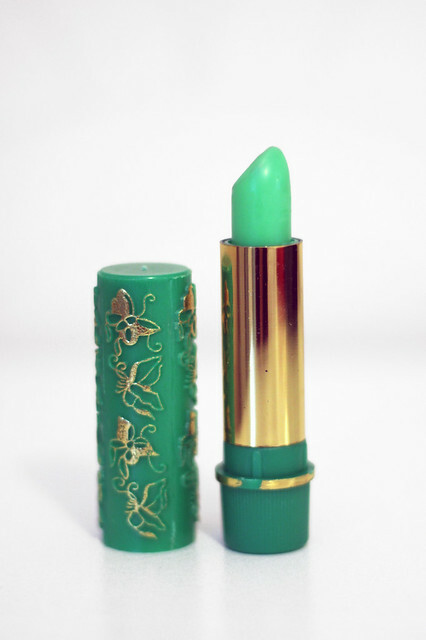 I have a new favourite lip product, it's Magic Moroccan Green Lipstick and it really is magic. In the tube it is green, you swipe it on your lips and it feels like a balm, not a gloss or a heavy lipstick, and it tints/stains your lips your own custom pink colour. Magic right!? The way I understand it it's some sort of magical henna that reacts with your body temperature and ph level to create the perfect pink for you. Crazy and amazing. What I love about a stain like this is that I can sip coffee, kiss my baby, my dog, or heck, even my husband if the mood should strike, and the colour doesn't budge. I've barely worn anything beyond a lip balm since Rowan was born because I don't want to leave glossy lip prints all over his pretty little head. 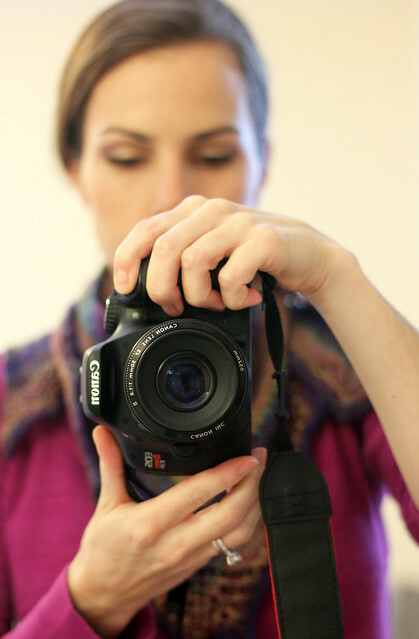 For today's post I experimented with taking my own portrait in the mirror. Not easy, but fun. Chris was busy dyeing sparkly yarn so I had to figure this out myself. The best shot of the bunch is of course the one where I'm all blurry in the background and the camera is in focus. Don't you think the coloured lips make a difference? The second to last shot has bare lips, fine, but missing something right? This outfit is a very good example of what you might find me wearing if you were to stop by unannounced. Jeans, a casual top, hand knit socks (I wear exclusively hand knit socks almost every single day between October and April) and likely either a hat or a scarf/shawl. I have this weird thing about having a bare neck, which would explain why I love turtlenecks so much. Having something warm on the back of my neck makes me feel like my whole body is warm. A naked neck and I'm freezing. 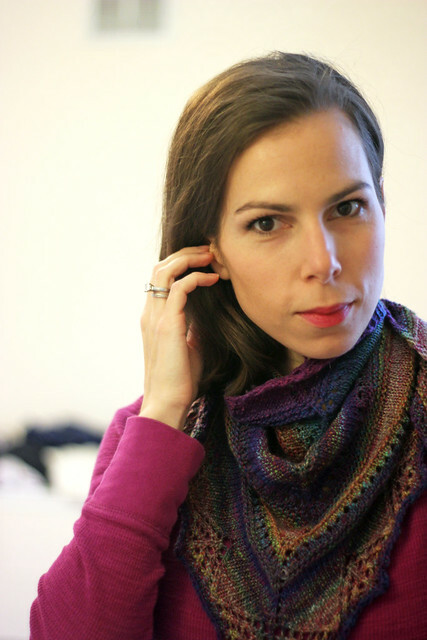 I wear my handspun Prism shawl all the time. 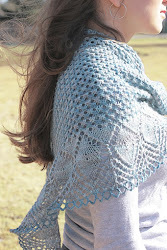 It's small, more of a shawlette really, and the colours are so pretty, it completes any outfit. 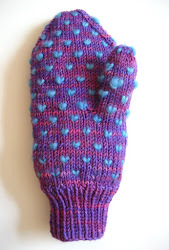 And those Monkey's, Ravelry tells me I made them in 2008, they are still looking great! The shawl was knit in 2010, so these knits are both tried and true and holding up incredibly well considering the amount of wear they get. 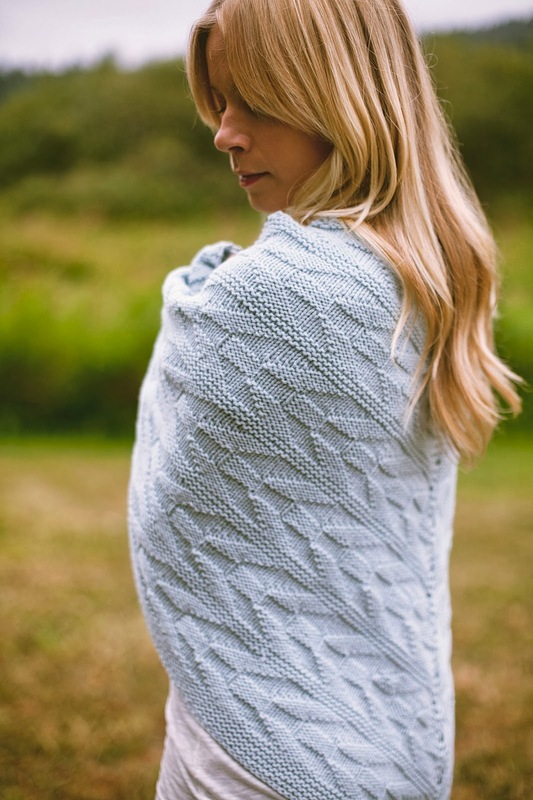 The anticipation for the release of Journey, a pattern collection by two knitters, designers, bloggers and friends Jane Richmond and Shannon Cook, has been building for weeks now. I am very excited to be a part of the frenzy and I have one digital copy of the book to give away to one lucky blog reader! Details at the end of this post, but first, a bit about why I love this collection. I've discussed a previous Marian Rae publication, Jane's Island collection, earlier this year here. In Journey, Jane and Shannon, along with photographer Nicholas Kupiak, have carried through the distinct style that that they developed in Island. Simple lines, beautifully laid out pages (over 125 pages to flip through in Journey!) classic details... these are the things that we've come to expect from Jane and Shannon, and this latest collaboration certainly delivers. I love that we live in a day and age when knitwear designers can make the leap from self publishing pdf's of their designs online, to self publishing an actual hard copy book. We all love the convenience of the quick download, but books are something to truly be cherished! Having great patterns available in both formats is amazing. Shannon and Jane haven't just designed a lovely collection of knits, they've told a story through knitwear design and photography. It's very impressive. When I flip through the pages of Journey I can feel forward momentum. I hate picking favourites form collections because I know how hard the designers work to produce each piece, and that every design is there for a reason. Any of the pieces in this book would make a welcome addition to my wardrobe, but which one am I hankering to cast on for first? Twist my arm and I think I'd have to say that I'd knit Onward in Orange Label Cashmere/Silk Worsted weight yarn in a neutral like Chris Grey, Frost, Sand, Dove or maybe even Natural. 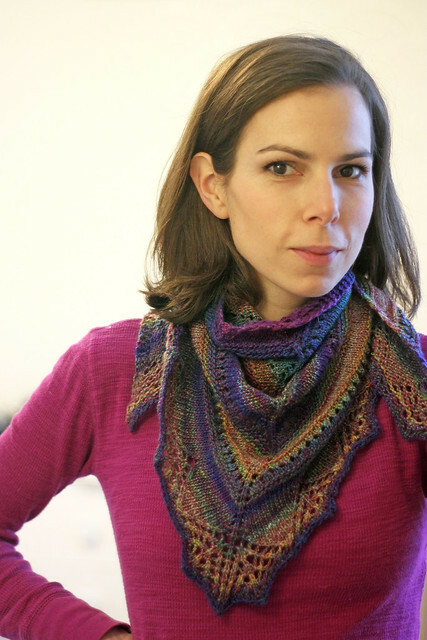 The texture, the scale, I think this shawl looks incredibly cozy and I'd wrap it around my neck and never take it off! I love that it's reversible as well, always a very clever detail in a knit. To enter to win a copy of the Journey e-book, leave a comment below. 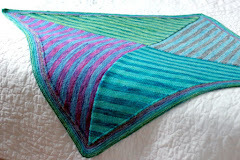 Please remember to include your email address or Ravelry username so I can get in touch with you should you win. A winner will be announce on Friday, Dec. 6th. The patterns from Journey are available as individual pdf's, an ebook and a hard copy book. Buy them on Ravelry here. 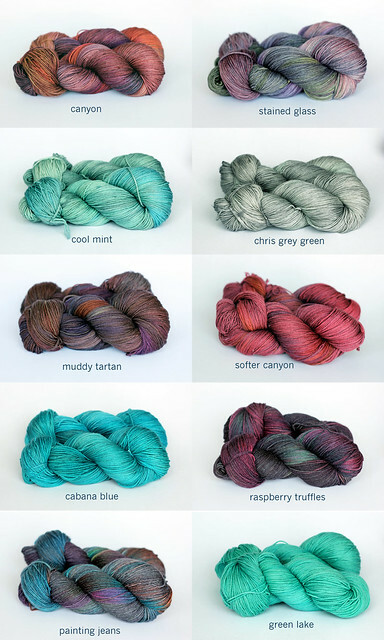 What would you knit from Journey with your TFA stash?